If you're like me you probably like to see good movies on opening day or weekend. Well, that was the case with me and The Dark Knight Rises - Don't worry I won't give anything away that will likely happen in another post in a few months. 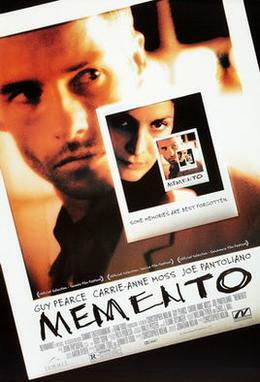 I've been a big fan of the Nolan brothers (Christopher and Jonathan) ever since they wrote there first film together in 2000 - you may have heard of it - it was called Memento and it forever changed the way film stories were told. Since Memento, I've watched every film the Nolan brothers have been involved with (including Batman Begins, The Dark Knight, Insomnia and Inception, etc.). My interest in the Nolan brothers' work goes beyond films. Person of Interest is currently my favourite TV Show, it debut in 2011 and was created by Jonathan Nolan. So, as you can imagine, I was really excited about watching The Dark Knight Rise. The expectations were high and for the most part they were met. I found The Dark Knight Rises to be a little long, but I guess it had to be in order for them to tie up all the loose ends. Hey, at least they didn't make it into 2 movies and charge me twice for two 1.5 hrs movies like some greedy film makers. As expected the special effects in The Dark Knight Rises will amaze you. The action sequences are eye pleasing and the dialogue is really witty at places. The only place where The Dark Knight falls is in the story which is slow in the beginning but picks up towards the middle. But from there on it's no holds barred and you are in for an outstanding climax with a down right brilliant ending. 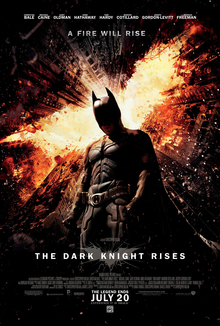 If you haven't seen it yet, I urge you to see The Dark Knight Rises on the Big Screen. The brilliant cinematography, effects and sound will be lost if you watch it in any other format. It's been a while since I've seen an audience clap at the end of a film, but that was the case with this one.